China will be the biggest market for the GLE Coupe, shown. KITZBUEHEL, Austria -- Mercedes-Benz is expanding its crossover family with a new niche vehicle to lure the nontraditional SUV buyer: the GLE Coupe, aimed at the BMW X6. The GLE Coupe has four doors but coupelike looks and is designed to appeal to buyers seeking sporty, emotional styling, said Wolf-Dieter Kurz, Mercedes vice president of product group SUVs and sports cars. 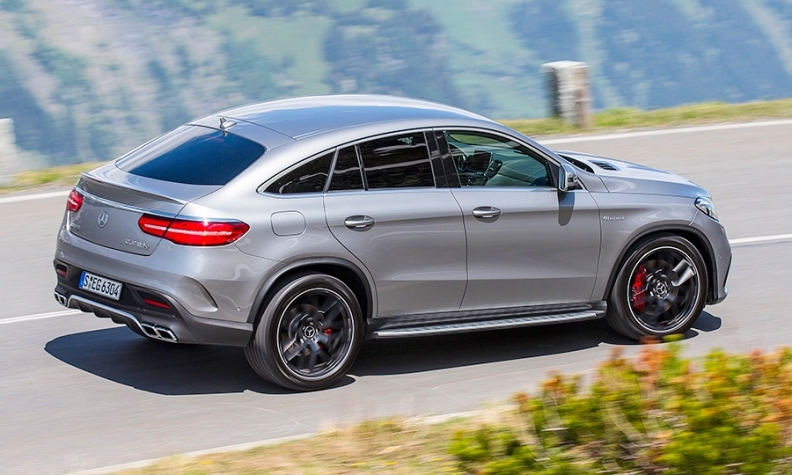 Why did Mercedes wait to launch the GLE Coupe? Kurz said the brand’s priority was to first develop more volume at the bottom of its product range with new compacts including the compact B-class Electric Drive, CLA sedan and GLA crossover. Mercedes could quickly and cost-effectively develop the coupe variant of the crossover because the two GLEs share the same body structure underneath the sheet metal and the same front-end sheet metal but different sides and windows, Kurz said. The freshened 2016 Mercedes GLE, formerly the M class. Mercedes' U.S. factory near Tuscaloosa, Alabama, can produce 200,000 crossovers annually and has the flexibility to shift production to meet demand, Kurz said. The plant makes both GLEs and the larger GLS crossover. China will be the biggest market for the GLE Coupe, accounting for 30 percent to 40 percent of annual sales, followed by the U.S., with 20 percent to 30 percent, Kurz said. “The vehicle will perform better than expected in the U.S.,” he said. The Coupe won’t be available with the Mercedes off-road package and will be sold only as a high-performance model in the U.S., said Kurz. Mercedes, under revised nomenclature to better distinguish and identify its expanding car and light-truck portfolio, is renaming its traditional four-door luxury crossover, the M class, the GLE for 2016. 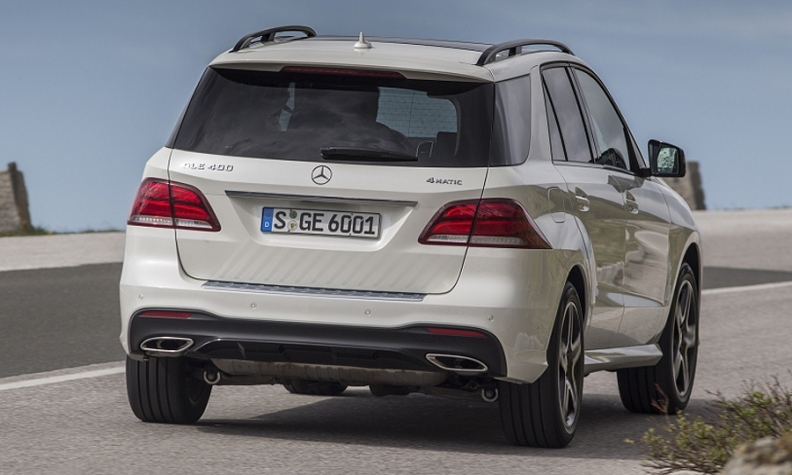 The M class was last redesigned in the fall of 2011 and has been freshened for 2016 as the GLE. The GLE and GLE Coupe go on sale in early August. The models share an architecture with the larger GL crossover that is being renamed the GLS and freshened this autumn, Kurz said. They do not share an architecture with the E- and S-class passenger cars but are similar in size, Kurz said. The crossovers do share components with the passenger cars to save cost, he said. The 2016 GLE got a midcycle freshening with an updated front end and new front and rear lights. The two GLEs do not share an A pillar -- the Coupe is angled 1 degree more. “The driver seat is even in the same position, but the center of gravity in the Coupe is lower,” Kurz said. 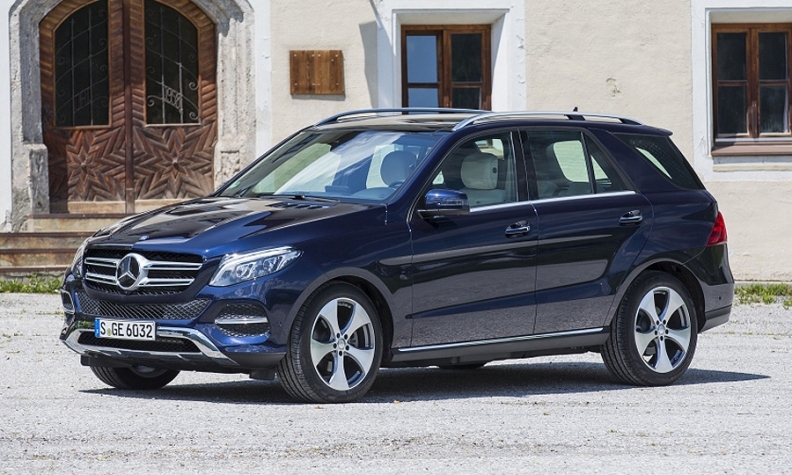 The 2016 GLE is 189.1 inches long, 84.3 inches wide and 70.7 inches tall. The new GLE Coupe has an interior similar to that of the M class, rather than the updated interiors of the redesigned C- and S-class sedans or the GLC crossover. Both GLEs have the safety, assistant and infotainment features available on sedans. These include Distronic Plus with steering assist, pedestrian detection and blind-spot, cross-traffic, active lane-keeping and parking assist systems. Kurz said that in 3½ years, when the GLE is updated, both vehicles will get a total revamp -- but the new-generation Coupe may not be launched at the same time. “We will make a major step forward like we usually do with a new vehicle, and we have to follow with the Coupe in a reasonable time."